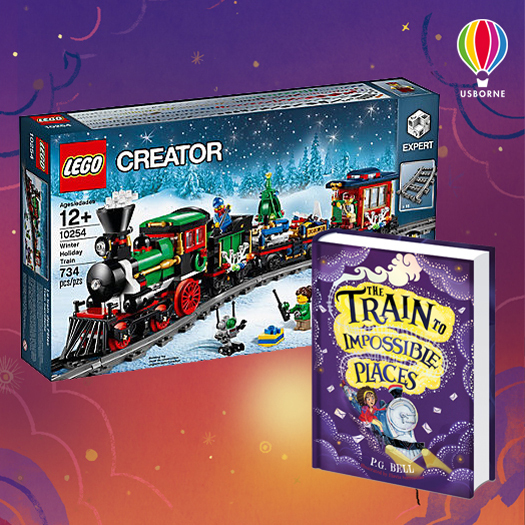 To celebrate the release of The Train to Impossible Places we've got a signed book and LEGO® train set to be won, plus 10 runners up will each receive a signed book, t shirt and tote bag! Win a LEGO® train set and magical journey! 1 x winner will receive a LEGO® winter train set and a signed copy of The Train to Impossible Places. 10 x runners-up will receive a signed copy of The Train to Impossible Places plus a t shirt and tote bag.